Finn’s solid. Not in body, but in being. She’s gravity and kindness and all those good things that anchor. Willa’s confusing. Sometimes she’s this sweet, sensitive soul. Other times she’s like a flaming arrow you hope isn’t coming for you. I’m going to wing this review as I am still a bit overwhelmed. I loved the book. I loved it for the finesse on the writing with words so simply stated but always carrying great weight and power as well as the main characters who represented the grand ideals of intellect and compassion coming together. 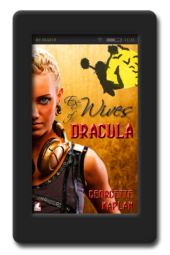 The author is quite good at describing the main characters with the reader getting to know their thoughts and feelings thoroughly with no wasted dialogue or extra scenes. With the minor characters, we have described just what we need to know. The description of the main relationship is beautiful. I became so quickly invested in it that I was caught by surprise by this beauty and the words said and unsaid as it was building. This is a story which fits with current events in the world and certainly past behaviors of countries and individuals. The dilemma, crisis, and resolution of the main character’s challenge was well done. I was sent this pdf format of the book and I was surprised at how quickly I could read it but then was required to stop and really think about these characters and what was happening. Somewhere near the end, the author made me tear up I was so caught up with Willa and her delicate frailty. Emily O’Beirne is quickly becoming one of my favorite authors. 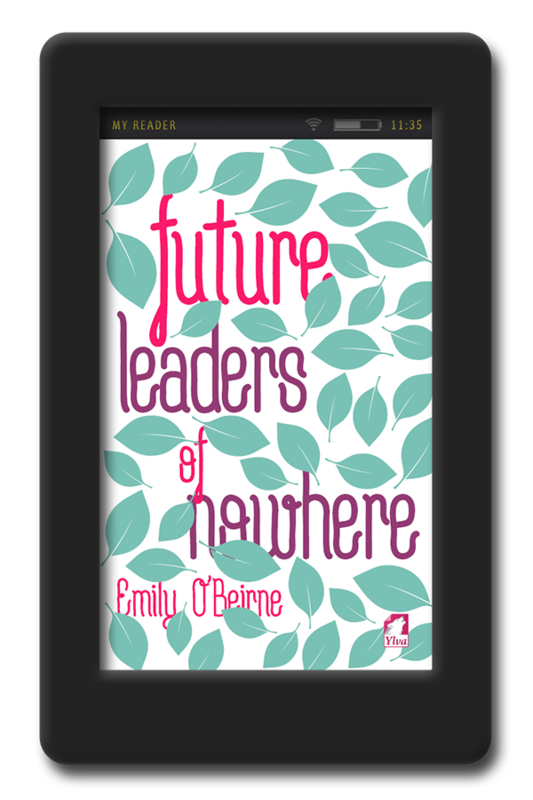 I loved Points of Departure, I loved Here’s the Thing, and I loved Future Leaders of Nowhere. Her narrative tone has a sense of wholesomeness that you don’t often find in YA. This book follows the trend. It’s warm and relatable and funny; a book to cheer you up when you’re sad and one that will keep your good mood rolling. Some things I loved: I love the premise of having the characters at a leadership camp. As one of those overachieving kids in school, I’ve been to my fair share of building activities like it. It’s also a nice reminder that the upcoming generations are going to have LGBT+ leaders. I loved Finn and Willa, who are both strong leaders but in different ways. I loved how they came to get to really know each other while navigating public and private personas. I loved the diversity of the characters, which reflects the diversity of Australia and the world at large. And finally, I loved how well everyone got along. While there was one character who stirred the pot unnecessarily, this was a group of overachieving teens and it showed. Their strengths weren’t all the same, but they learned how to complement each other. 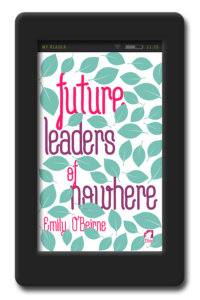 I highly recommend Future Leaders of Nowhere and even though I received a digital copy in exchange for an honest review, I’m planning on buying a physical copy to add to my library. This book is kinda hard to review. Reason being is that it’s an excellent story and written really well. I just had a hard time getting into it. The book itself, I took along time to get into it and it became a chore. Until I reached half way and then everything fell into place and now I’m actually looking forward to the promised sequel. 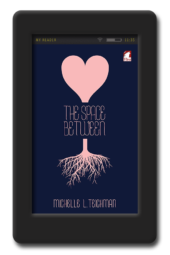 The book is based around two main characters, but the author introduces you to various other people who all add to the story and probably will continue to add in the sequel. I’m not even sure why it took me so long because when I’d finished it I absolutely loved it. You decide…..Enjoy!!!! 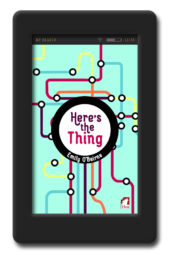 Emily O’Beirne has made me rethink the kind of books I like to read. YA is not usually my thing at all but I found myself completely drawn into the story of Finn and Willa and their summer camp adventure. The camp is for high achieving kids from various schools, who take part in an interesting team game that ends up making them really have to think. Finn and Willa find themselves drawn to each other and I found the effect this had went far beyond just the two of them. 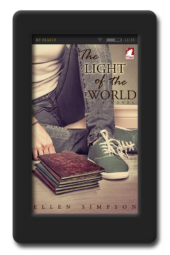 The writing was insightful and real and delved into their lives at home as well as at camp. I thoroughly enjoyed it. I was gven this ARC by Ylva Publishing in return for an honest review.